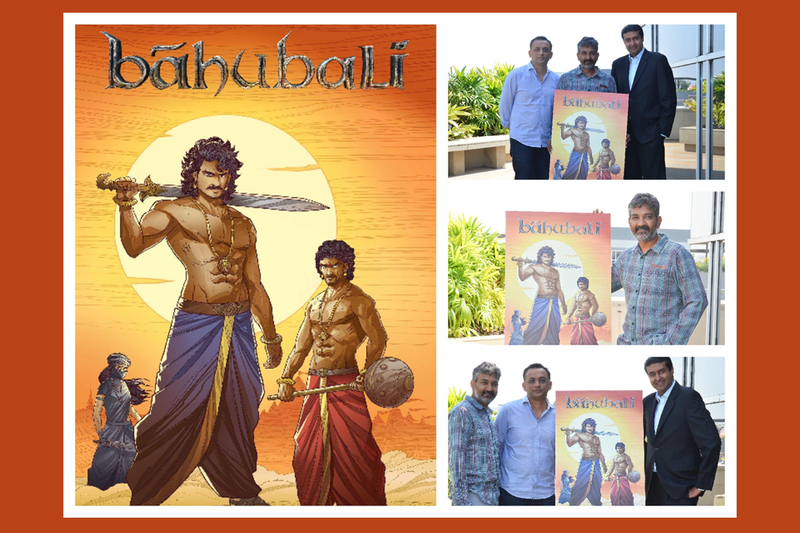 As you all may have already heard or read, we have teamed up with the brilliant director, S. S. Rajamouli, and renowned character entertainment company, Graphic India, to extend the riveting world of Baahubali beyond the movies, first into original graphic novels and then, animation and videogames. As a new age production house, innovation has always been and will always be something we strive for. “This is not a marketing gimmick, Baahubali stands on on its own,” said Shobu, our CEO and founder. “This is an independent storytelling medium. This will also keep fans happy, who want to engage with the film in different ways,” he added. So, what exactly can you all expect from the Baahubali comics? As you all know, an entire universe that has been created from scratch, Baahubali’s story was always one that had the potential to evolve and extend across various platforms and media. “The film medium has limited space and we couldn’t use that to share everything we wanted to,” said Rajamouli. “There’s a lot of intrigue, action and adventure in the life of all the characters of the film, which we could include when we release the story as a comic, animated series or a game,” he added. The comics will thus delve into the lives and culture of the various supporting characters in the story, providing the team with an opportunity to use all the hard work and detail that had gone into creating the script. While currently the focus is in the digital space, the team does plan to venture into other mediums such as published books and other merchandise in the future. The graphic novels are to launch this summer while the animation series can expected closer to the release of Part II. *Pictured below – The Arka Media team and the Graphic India team at a writer’s session with Mr. Rajamouli and Mr. Vijayendra Prasad.